Kev's staying in Germany, and he's backing Schalke to take another step forward. "Hoffenheim have had a physically and mentally draining week, and Schalke have only lost two of their last eight games in all competitions." Disappointment in Dusseldorf - not the name of a low budget rom-com, but our feeling as Fortuna lost 1-0 at home to Mainz last night. Both teams blew several presentable chances that might have helped us land our Over 2.5 Goals bet, but it wasn't to be. We stay in Germany, but we're heading south to Sinsheim. Hoffenheim and Schalke both lost in the Champions League in midweek, but while Schalke had already made it through to the last 16 by the time they lost at Porto, Hoffenheim's chaotic 3-2 home defeat to Shakhtar Donetsk ended their hopes of progress. Hoffenheim played a hefty chunk of that game against Shakhtar with ten men, after Adam Szalai had been dismissed, and they poured every bit of energy they had into trying to win the game. After blowing a 3-1 lead at Hertha last weekend in a pulsating 3-3 draw, it's been a tough week for TSG. 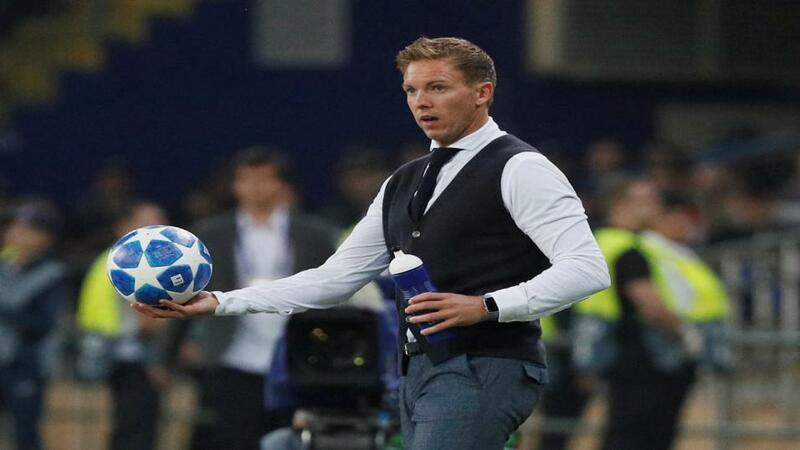 Now all that realistically remains for talented coach Julian Nagelsmann in his final season at Hoffenheim is to try and secure another unlikely qualification for the Champions League. Nagelsmann will join Leipzig at the end of the season, and he wants to leave Hoffe on as good a footing as possible. Schalke boss Domenico Tedesco finished above Nagelsmann in their coaching class, and he finished a place above him in the Bundesliga last season too, as the Royal Blues finished second. Although this season has been far more of a struggle (Schalke lost their first five league games, and are closer to the dropzone than the UCL spots), no-one is Gelsenkirchen is panicking, and there have been signs recently that the team is improving. Last weekend's 5-2 win over Nurnberg was against limited opponents, but there was a lot to like about the performance. With forwards Mark Uth and Breel Embolo injured, Steven Skrzybski stepped into the breach to score twice on his home debut, a sweet moment when you consider he's a Schalke fan (he had Schalke bedsheets as a kid.) Wing-backs Daniel Caligiuri and Bastian Oczipka were both outstanding, and when the wide players play well, Schalke tend to thrive. Hoffenheim are trading at [1.83] to win this, and I'm not convinced they should be odds-on. Schalke have only lost two of their last eight games in all competitions, and I think they can hunker down and frustrate a Hoffenheim side that's had a physically and mentally draining week.